This week has been focused on DIY – something both Nath and I aren’t that great at. The house is in need of a “spruce” but as if we have the energy and focus with all of our baby dramas. Living in a back to back our lounge is also our hall and dining, with cream carpet and 2 kids you don’t need a big imagination to realise its not a good combo – lets just say it screams “grubby central”. No matter how much I clean, the carpet makes the room grubby with its muddy/food stains . Last week our family committed to set a date this week to all come help us revamp this space with a wooden/laminate floor and a fresher feel. Whilst the prospect was exciting the thought of turning the house upside down at this point in my life seemed WAY too stressful. I honestly did NOT want to take on anymore. My head is crammed! A couple of my Sis-in-laws and one of my Brother in laws kept telling me how amazing it would be though and how it would feel so much better. 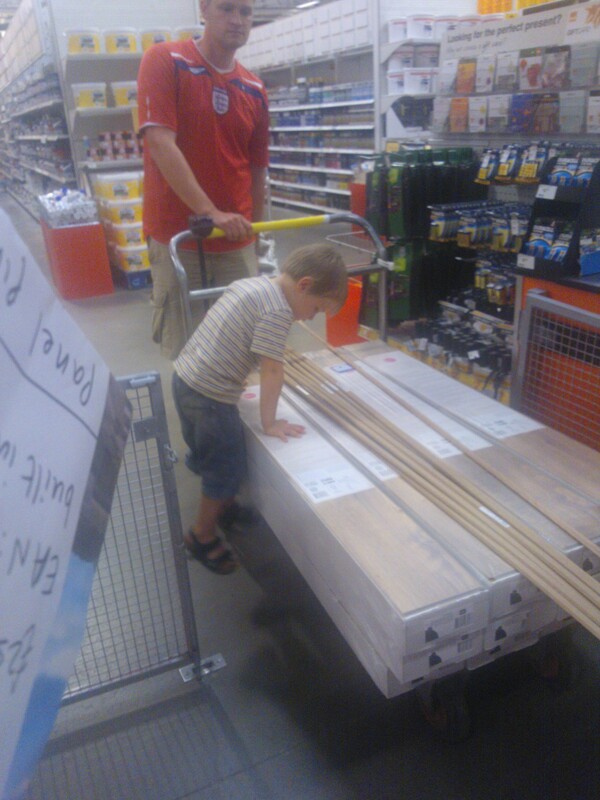 So were taking the plunge and Friday is the BIG DIY DAY!!! Despite a sleepless night of how id decorate or lay out the furniture, it has been a great prep week, especially shopping for stuff (hello retail therapy)! 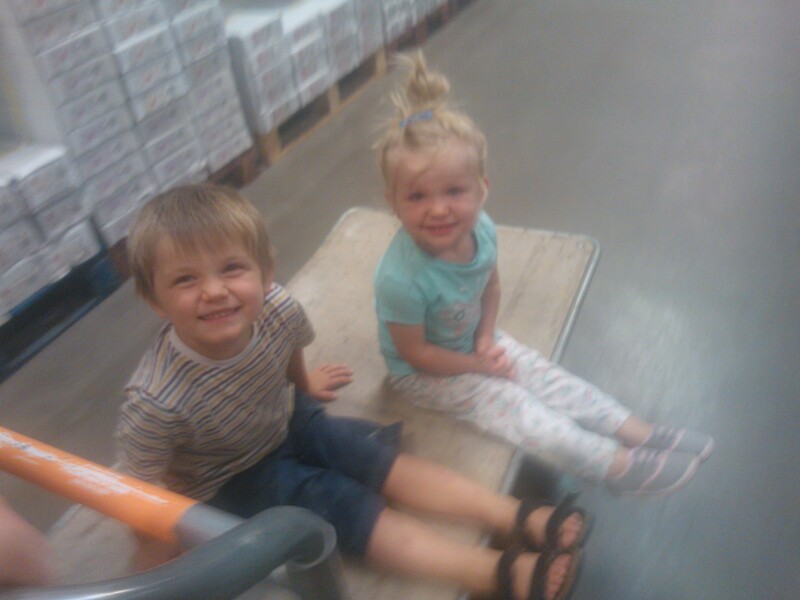 B&Q was an adventure for Ethan and Megs which was a laugh for us all and now I am really am looking forward to it! I have a feeling of excitement for my new room and know it will be lovely, fresh and calm to come home to after baby is born. I’m very much aware of how important it is at difficult times like this in life that we have things to look forward to – a trip, activity or a revamped room… whatever it may be, being busy to prepare for it and looking forward to things is helping me survive and helping me feel blessed and happy about life!! !